For Sale in Buxton for Offers in the region of £70,000. 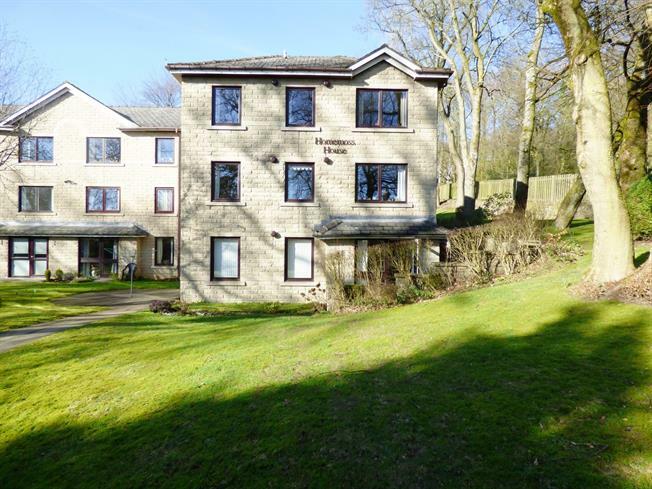 This well maintained ground floor retirement apartment is offered for sale with no onward chain at a very realistic price given that the property has access out on to a patio area where you can sit in the finer weather and enjoy the pleasant surroundings of the grounds of Homemoss House. The accommodation includes an entrance hall with storage cupboard, a spacious living/dining room, a kitchen, a bedroom with built-in wardrobes and a shower room. Other features include double glazing, heating via electric storage heaters and the convenience of being close to the communal areas including the laundry room.